When Matt and I do house projects, we like to do twice as much work and spend twice as much money as originally planned. 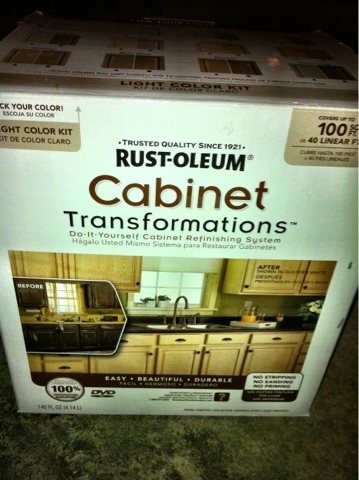 Today, we realized we HAD to decide on kitchen paint. We've had a patchwork wall for too long and we have a party to host in there soon! I argued that Matt's color choice would clash with our cabinets, so in his devotion to this color, he agreed to paint the cabinets. Now, we both get something we want! Can't wait to post before and afters!